You know those tins of popcorn for the Holidays? The cheese popcorn is the best. Fact. So I invested in some Truffle Oil a couple of days ago. I was reluctant in purchasing something so expensive (better than the real stuff I guess), but I have no regrets. Sam brought back some truffle shavings from France, and he requested a Truffle Risotto. Naturally, I obliged. Come on it’s risotto! But that’s for another post. This quick post is about a great, fancy snack you can easily put together to wow your friends, IF you have truffle oil. You only three things, Kettle corn, Grated Pecorino Romano, and truffle oil. Super easy! 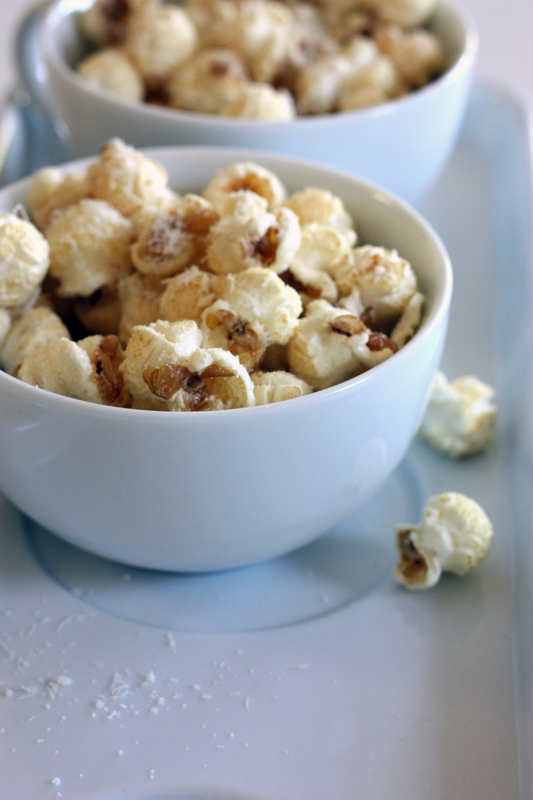 Whatever kettle corn you have (fresh or from the bag) just toss it with pecorino and a little truffle oil. Remember you don’t need alot of truffle oil. It goes a long way. Luckily, my friend Avalon had given me a bag of kettle corn for Halloween! So definitely invest in some truffle oil (if you like truffle). 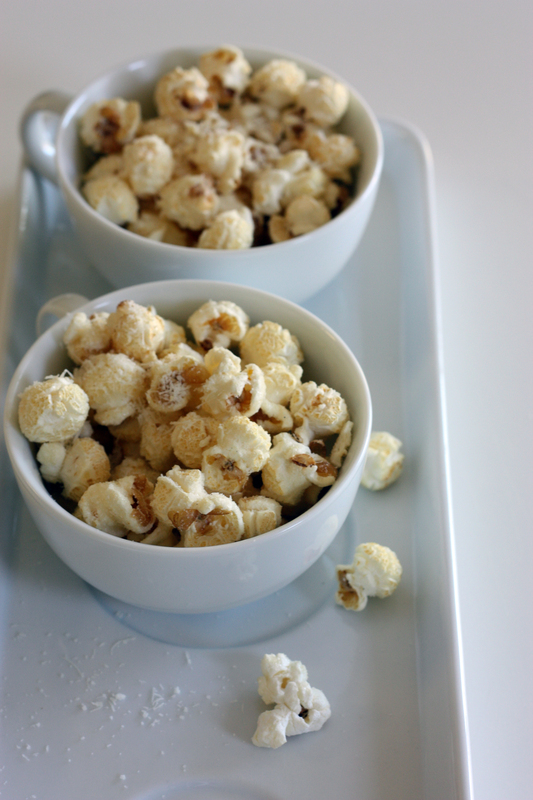 This is a snack my friends can’t have enough of, so be good friend and make them truffle kettle corn sometime ! Totally has the sweet and salty going on. This entry was posted on November 3, 2012 by rrfoods in Quick Nom and tagged cheese, corn, kettle corn, pecorino, truffle.